Most people love to bake and cook; and this is obvious with the vast and endless variety of recipes in the market; mostly from cookbooks, journals, and magazines from celebrity chefs. Recipes from cooking shows can also be seen in food blogs, food networks, food vlogs, TVs, and can even be heard on radio. This is to help potential cooks and bakers who loves to do this kind of hobby be inspired on what food to prepare. You may also see best greeting card designs & examples. With great interest in paying close attention to the recipes handed out by the chefs, surely, the people who sees it will want to copy down the recipe so they can cook it when they need to. And where would they place the recipes? Of course, in recipe cards. 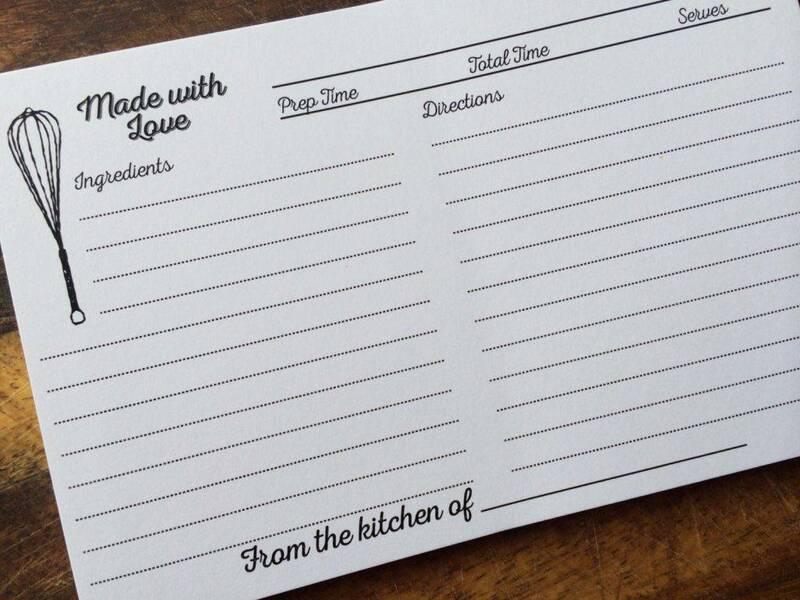 Take note, that recipe cards are not just strictly limited to copying down recipes from other cooks. 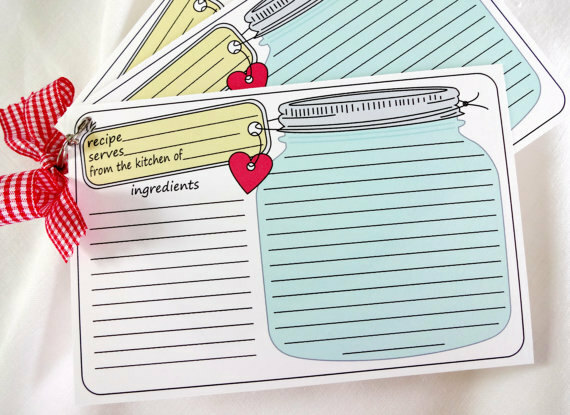 Of course, if you’ve made your own dish with your own recipe and wanted to list them down for you to remember it or you wanted to teach other people about your own recipe, recipe cards are still perfect for this. You may also like fall greeting card designs & examples. Cooking in the olden days were different from what we do today. Before smartphones, printed recipes, iPads, or tablets; most people would get out their recipe in cookbooks and browse through the pages on what meals they want to cook. 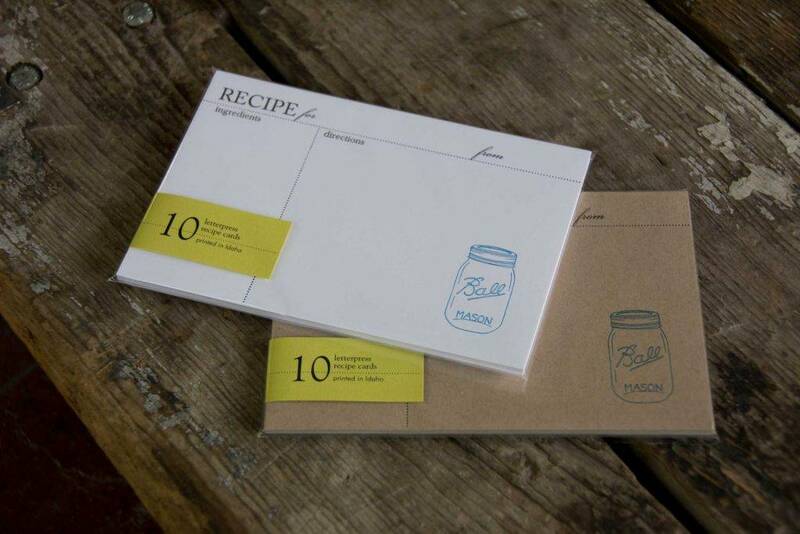 But even until now, recipe cards are still thriving as ever. 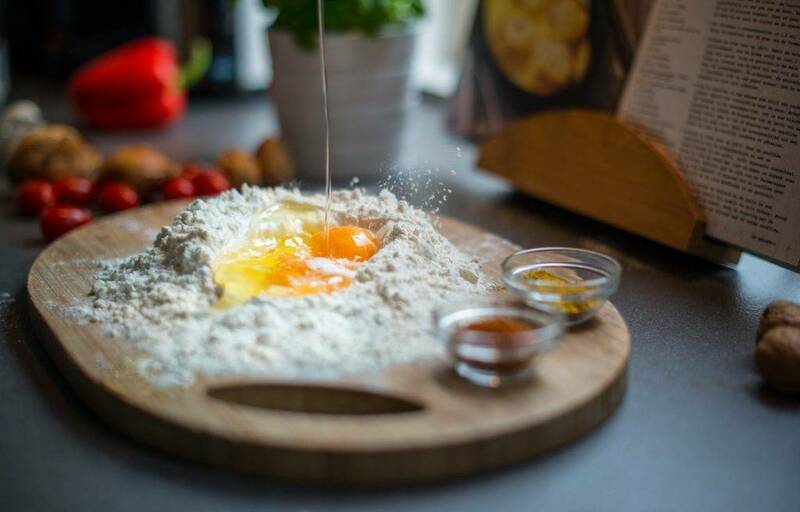 Most people want to associate themselves with their own treasured recipes that has been proven and tested as good, delicious meals that has been their signature dish. But how did recipe cards started at all? You may also see greeting card designs & examples. Centuries ago, recipes were handed down orally, but as literacy spread all over the world; when most people already know how to read and write, and so written recipes were born. However, recipes in those days were not as detailed as it is now; back then they use instructions such as “bake until done” or “enough flour to make a stiff dough” were not exactly to teach a new method in cooking or baking; but to jog the memory of the person— this highly suggests that the cook or baker were taught by their mother and grandmothers on how to bake or cook. You may also like photo greeting card designs & examples. However, written recipe really went mainstream when it started on the rise of women’s magazines in the early 20th century; particularly in the 1910s-1920s. Nutrition science was the coolest thing since refrigerator was invented, and magazines, who were eager to reach out to housewives, who were their target market, were looking for precise, standardized written recipes, even offering home delivery recipe subscriptions. The recipes were printed on heavy cards with the magazine’s brand logo of course and these were widely popular in the 30s and 40s. 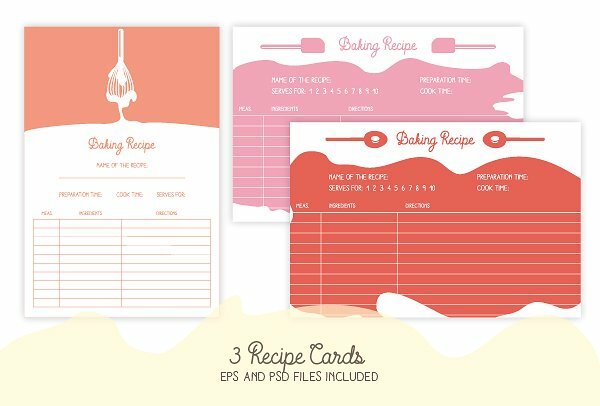 Once the written recipe format was established, it was inevitable that cooks and bakers eventually would start writing their own recipe cards. You may also check out examples of creative greeting cards. And because of this happening, this led to what the recipe card is today; as a way to remember both the recipe and the memories of cooking it, sharing it, eating it with loved ones (the latter is for someone nostalgic). 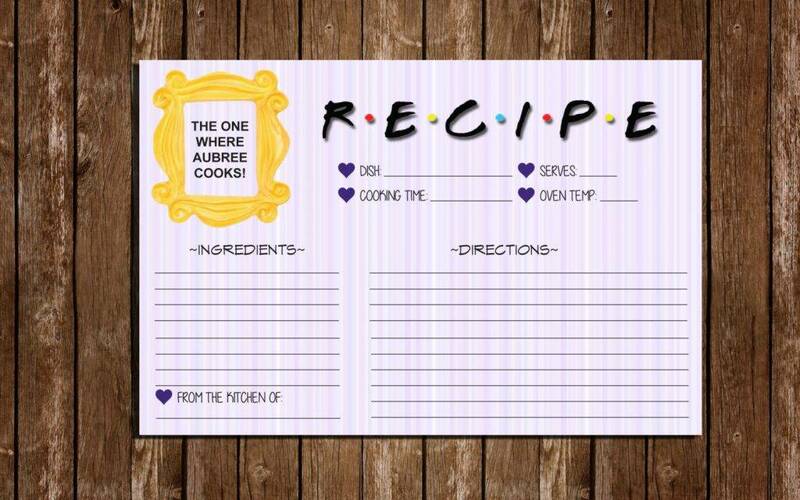 So essentially, recipe cards are there to help us remember the recipes we have forgotten to do. If preparing food that suits to your interest, and want to make it as a good hobby or want to make a living out of it, and want to share your original recipes to friends, family, neighbors, or even on the internet, you may need to list down your recipes to remember all of them. And so, the role of recipe cards comes in for this process. 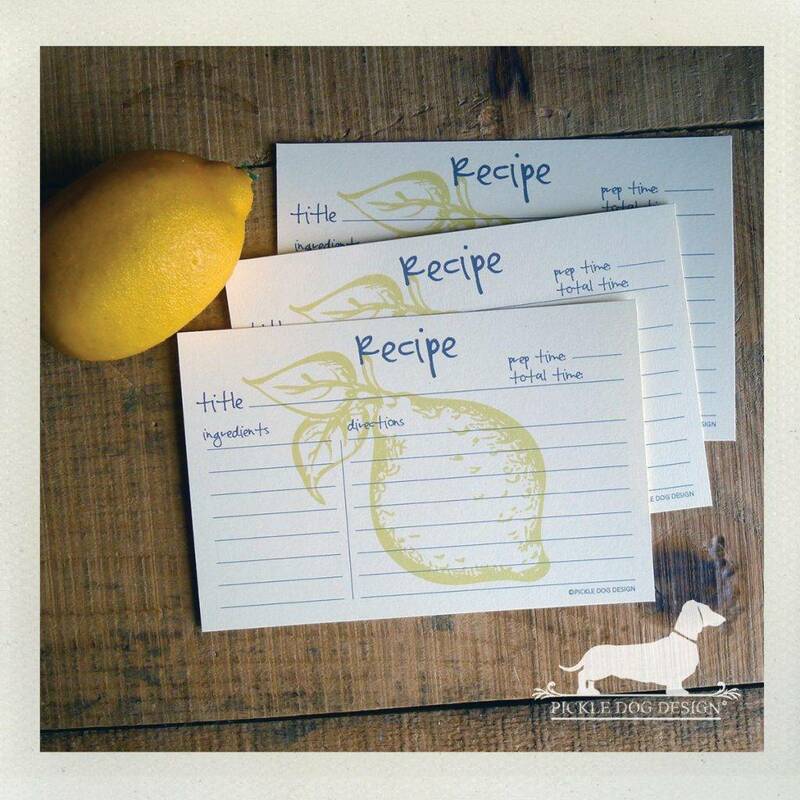 Here are ways on how to make your own recipe card. You may also see thank you greeting cards. Before listing down the ingredients and the process of cooking your meal on your recipe cards, the thing is, if it is your first time to try cooking lasagna with macaroni pasta, make a draft of the recipe first since you need to make some adjustments on the measurements of the ingredients or the process of baking until your meal is a success. Writing them down on recipe cards even if you’re not sure it works is risky; not to mention waste of paper and resources. Write down your draft recipe on a notebook cover or paper and keep a pencil with you so you can take notes while you’re preparing your meal. This way, you can list down the steps you took while cooking lasagna and change anything if some things don’t work out during your experimentation. 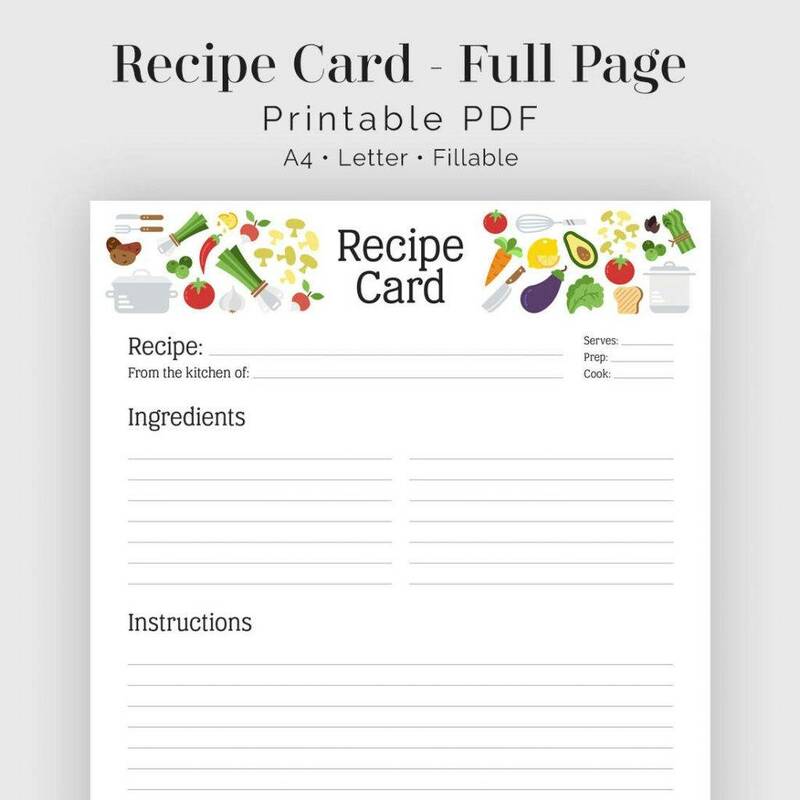 Don’t mind it if your paper may be smeared with the different ingredients of the meal; what’s important is you listed down the correct process and ingredients; so you can list them down on your recipe cards that others can follow successfully. Some recipes, like the old recipes from grandmothers use terms such as a pinch or a handful as their basis of measurements. This is fine, as they are all understandable, but some people are quite fussy about specific measurements; such as if someone use a term “handful” this measurement is not exact since some have smaller hands than others. You may also like christmas cards examples. Just to save confusion from your future readers of your recipe cards, list down your measurements using a metric system; with the aid of measuring cups, spoons, and so much more; this will be easier for the cooks to understand, especially the novices. Don’t hesitate to make some adjustments if some measurements of a particular ingredient does not work. There are tons of terms in the cooking and baking world that may look similar to each other but means differently. For example, there is a huge difference between chopping and mincing, grilling and frying, steaming and blanching more similar terms to mention. For example, if you’re dicing your carrots for your recipe, then write down “dice the carrots” instead of using the terms “chopping”. Choosing one term instead of the other can make a big difference between success and failure for the cook or baker who wants to follow your recipe. You may also check out examples of romantic greeting cards. 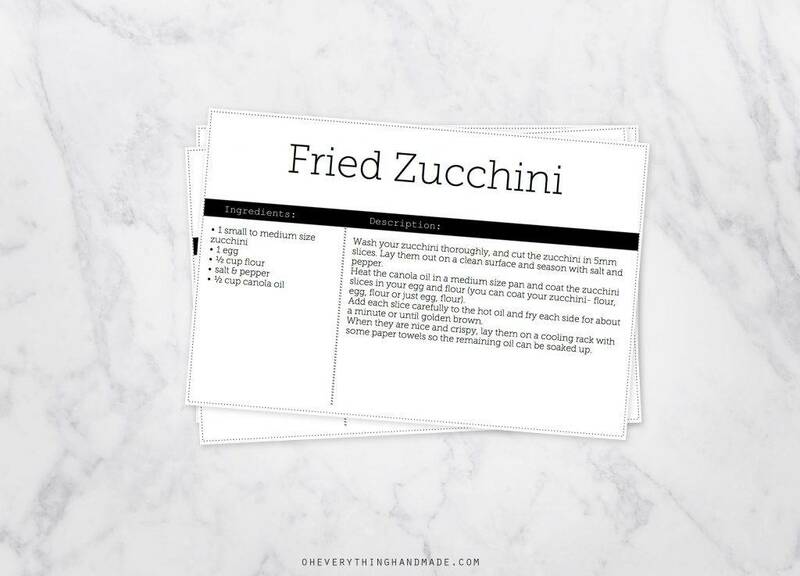 It’s much more efficient when you use a template to make your recipe writing process since you don’t need to have a format or organization decisions when you prepare your recipe card. 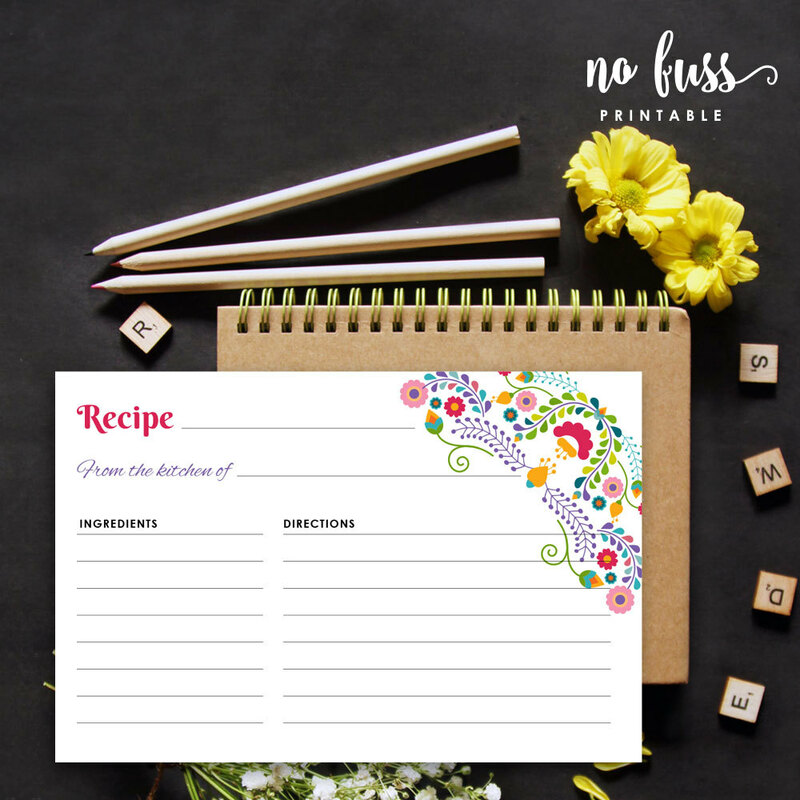 This is especially helpful if you are interested in creating a cookbook since using a template is vital for keeping your writing and formatting consistent across recipes. You might be interested in wedding greeting card designs. Depending on how good your are in word processing, you can create your own template or you can use one that’s been created by somebody else. 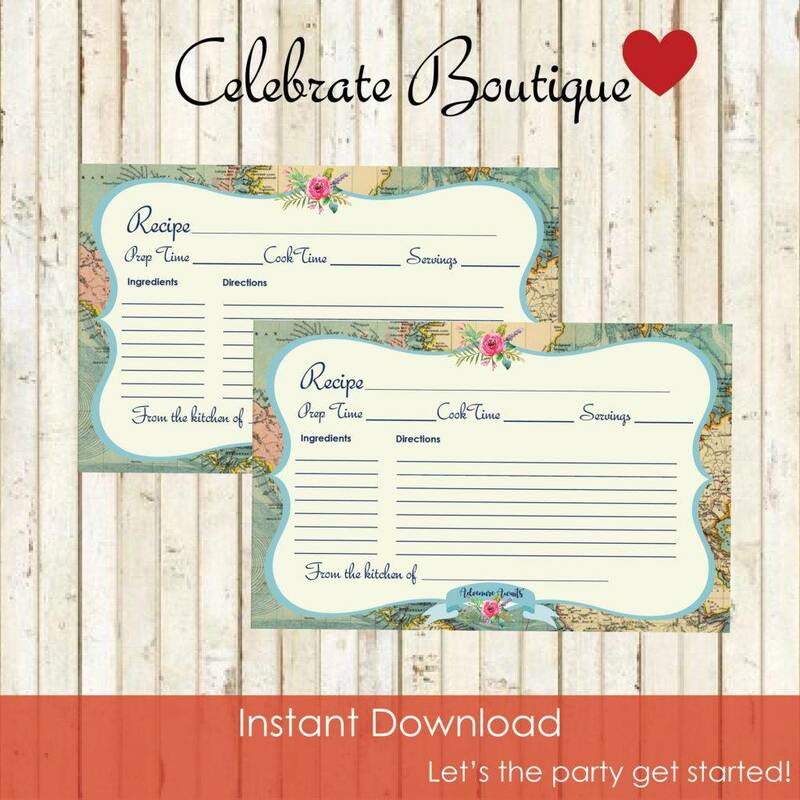 On the other hand, if you want to create your own recipe template but not sure what template to use, you can search the Internet for on how to create one. If you want to use an existing template in your word processing application, search the term recipe templates in the application. The organization of your actual finished recipe is different from the notes you wrote while taking down notes during your experimentation in the cooking process of a certain dish. That first draft documents the creative process, but the organization is quite confusing for others to follow. In the final recipe, ingredients and method as well as equipment or tools you use must have their own sections. Cooks and bakers expect that recipes should be written in a certain and organized order, so don’t frustrate them. You may also see anime greeting card designs & examples. This is how you should format your recipe: start with the easiest elements; start with equipment/tools and ingredients (with measurements already), since they are the simple lists. Be consistent with formatting. List equipment and ingredients in the order they will be used. After listing down the ingredients and equipment you used, review your notes and write the method steps in the order they are done. As you review and rewrite these steps, picture in your mind what you did and how you did it. Your goal in writing these steps is to guide your reader to go through the cooking process without mishaps. In order to achieve this excellence, imagine yourself in your reader’s shoes and anticipate what the reader needs to know. It’s a tough job, but someone’s got to do it. You may also like valentine’s card designs & examples. You will only write the introduction after you have re-written your draft notes, or even later than that (you can write it after you’re done writing your recipe card). By that time, most of the parts of your recipe have come together, and you can take down your fresh insights about what you want to tell readers about your recipe. The introduction can include a bit of the history of your recipe, your sentimentality towards it (it was the recipe of your grandmother or great aunt), or information about special features such as low-fat, vegan, gluten-free, or sugar-free, and anything else you believe will want your readers to make your recipe. You may also see corporate greeting card examples. It is a universal truth that food photography is an art and a profession too, but even if you’re not a photographer or even a pro, please don’t hesitate to include your own photos or drawings of the ingredients, equipment, or just even the finished dish. That is if you have more space in your cards to place a photo. Make sure the photo of the dish is set in a good lighting, clear and the colors are vibrant to entice your readers to cook it for themselves. Your readers will appreciate your efforts. You may also like examples of anniversary greeting cards. This is your opportunity to help the reader complement your recipe with foods that you know that could add health benefits and other enhancements. Think about how you like to serve this recipe of yours on your table. What foods and beverages enhance the appeal of your dish? Is it excellent if paired with a red wine? And this recipe, how many people will be served with it? Again, your readers will appreciate your suggestions. You may also check out diy greeting card designs & examples. No matter how extremely careful you have been in the writing process, revise the spelling, grammar, and punctuation of your recipe. If your recipe has lots of mistakes, the readers will get confused on what they are reading about and they will tend to follow an error which will potentially result in a flop dish. Re-check the spelling of some ingredients if you’re not familiar with it. If you Get a fresh view from people who are not tired by the process you’ve just been through, such as your friends or family. You might be interested in retirement greeting card examples. Not only will these fresh eyes find errors that you missed, they may also offer valuable insights that will help improve your written recipe. Now that’s a win-win situation. Thank you for reading our article. 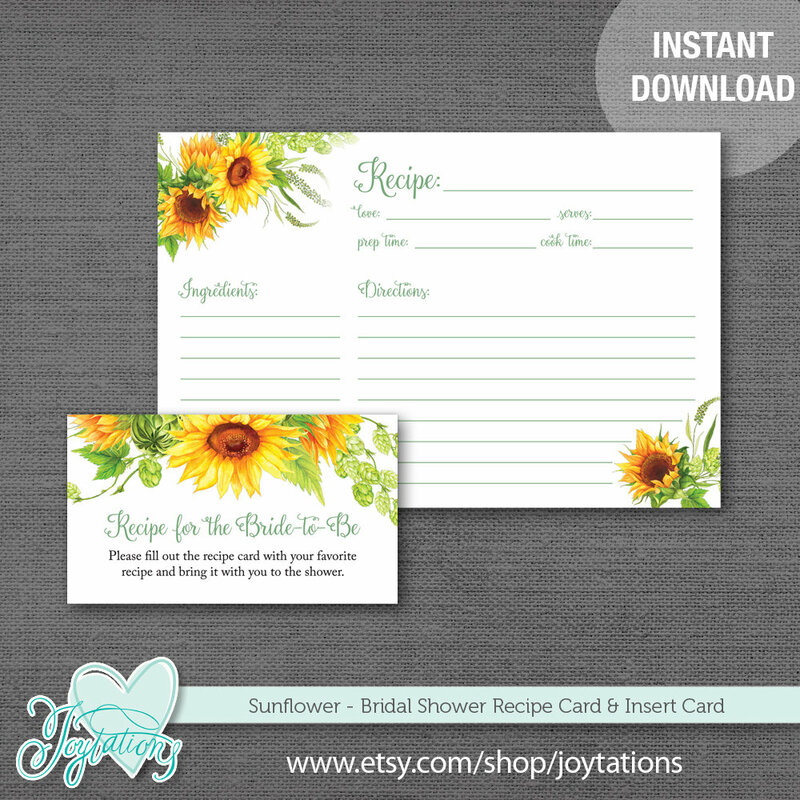 Don’t forget to make a purchase from the recipe cards we included here. They will be of great use to your next activity or event.